Transform any backyard into a functional and beautiful space your neighbours will envy. 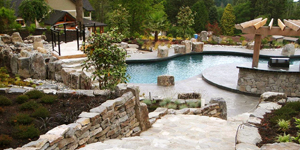 As a certified master retaining wall installer, we are able to ensure durability and quality. Nothing says style and sophistication better than a rustic natural stone landscape feature. Unlimited colour, style and pattern options are available. Our paving stone installations are built with durability and precision. From simple to the most elaborate designs, all of our woodwork is built sturdy and designed to last. Cavalry Construction specializes in the design and construction of luxurious outdoor spaces. We consider landscape construction to be a highly specialized form of art. Your property should be an expression of your personality and we help make your ideas a reality. 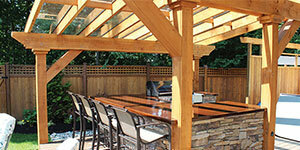 We help design outdoor living spaces that are functional and relaxing for your own private oasis. Explore options with outdoor kitchens and entertainment spaces that incorporate different design elements for the perfect BBQ, pool party or afternoon tea. 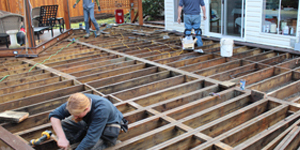 Too often we see homeowners that have suffered due to inferior workmanship by unqualified contractors. In this section you will find a number of examples where a home owner would have saved money and a headache if they had Called in the Cavalry the first time.